p>Doodle teaches children how to obtain a better understanding of color, value, hue, and contrast. 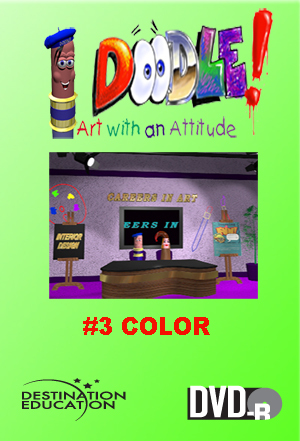 A game show format is used to reinforce kids’ knowledge of primary colors as well as mixing colors. The work of Claude Monet is studied in the Museum. Warm and cool colors will also be explored.